Most marketplaces thrive with transparency and competition, and we believe that a lack of transparency in medical care has resulted in higher prices. Most of the time the cost of medical care is determined after the care is received, and you can’t negotiate prices properly because there is no way to give back the medical care if you’re unhappy with the price. We believe this inability to negotiate is why health care is now the single largest component of the American economy. We believe the only solution is to get the price in advance, and shop for care based on value in medicine. What does MediBid offer that traditional network sources do not? MediBid offers cash paying patients seeking care the ability to find the medical practitioner who best fits that patient’s set of criteria. Criteria that can include price, location, time-to-treatment…. even professional credentials. Unlike traditional network sources, your healthcare decisions are in your hands, not someone else’s. Does MediBid share my information? Absolutely not! MediBid will not sell or release your information to any insurance, pharmaceutical, or research company. We value your security and privacy. What are MediBid's key values? Access, Transparency, Quality, Privacy, and Choice. MediBid gives you access to the care you need with upfront pricing bringing transparency back to the healthcare system through quality providers in a private environment that lets you choose. Have all specialists registered with MediBid been verified in any way? MediBid verifies that doctors and facilities that register are who they say they are and have a current active license upon their initial registration. Doctor licensing is shared with Seekers after a bid has been accepted so that they may verify the specialist still has an active medical license in good standing at the time of the bid acceptance. MediBid recommends that Seekers contact the state licensing board for the state of the doctor they are going to see to verify that everything is correct. Specialists that are reported to us as fraudulent will be removed immediately. Facilities also have the opportunity to submit their accreditation to MediBid for the Seeker to view. If a Seeker is not satisfied with the physician or facility after review, Medibid will re-open their bid request at no cost. What fees does MediBid charge? There are fees for both Seekers and Bidders. This ensures that both parties are serious about creating a direct contract relationship. There are now two Registration Options available! Choose from Regular or Free Registration. 76+ Registered Physicians: $5,000 annual registration! Most people search for value when spending money. This means getting the quality that you want at a fair price. When a company buys equipment, they determine what they need, then invite suppliers to bid. When a kitchen needs renovating, most ask three good contractors to submit a bid. 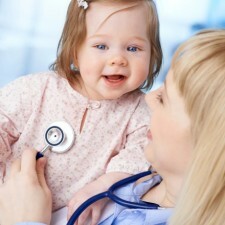 We bring this approach to finding quality medical care. Learn how MediBid can reduce healthcare costs for your organization.